This homemade jam spread is a great balance in calories, carbohydrates and dietary fiber. It is an excellent source of vitamin c (> 40% DV) and provides B vitamins, manganese, selenium and dietary fiber. 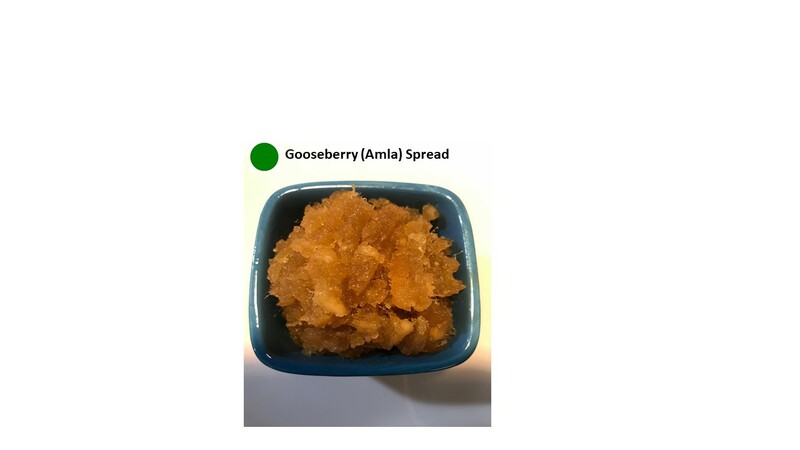 Gooseberry is also known for its anti-oxidant compound tannins that makes it very powerful antioxidants along with its super vitamin C value. This food earns a green dot in our food rating system due to its nutritional value and health benefits besides some added sugar in the recipe. That means it may be alright to add a little sweetener if that enhances the edibility of any nutritious food and no doubt this would be one of them. Due to its complex taste I found it necessary to add some sugar to make it more pleasant to eat and benefited from its therapeutic medicinal value. NOTE: Available in frozen packets in any Asian Indian grocery store also online.